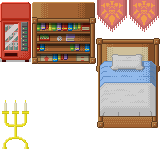 Another version of the my free tileset project with a lot of improvements. 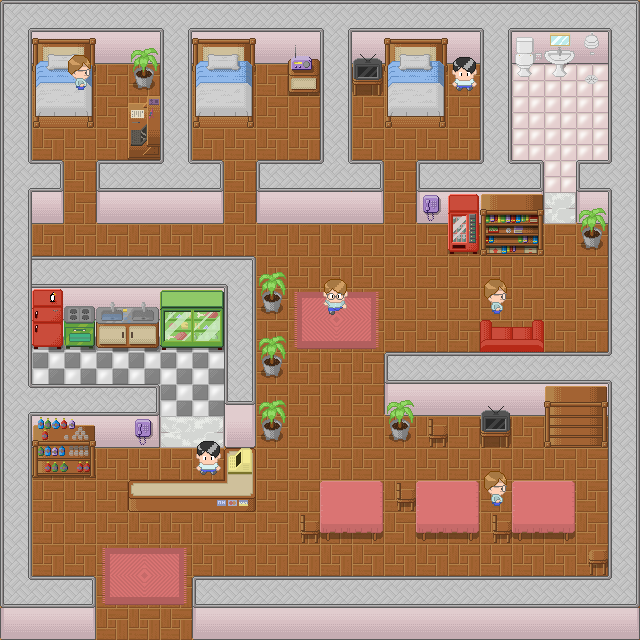 A hotel I did for helping me in a prototype. Another outdoor scenario. A warrior (unpublished character here) walking in a forest. Reorganization of tile positions. Now they are all in a 32×32 grid. Shelf of drinks, two tables and chairs. 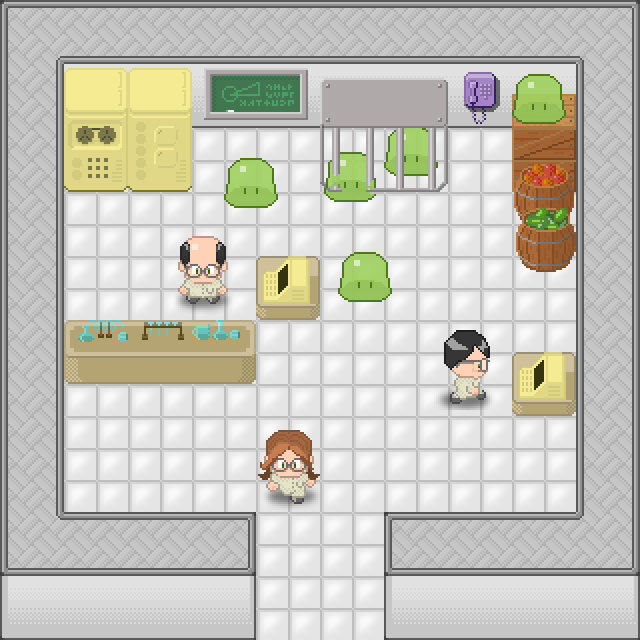 I placed some characters in this tileset just to help during the creation of prototypes. They should not be really used in maps. Two buildings, streets, pedestrian crossing, sidewalks and a manhole cover. A tree, cut tree and a bush. 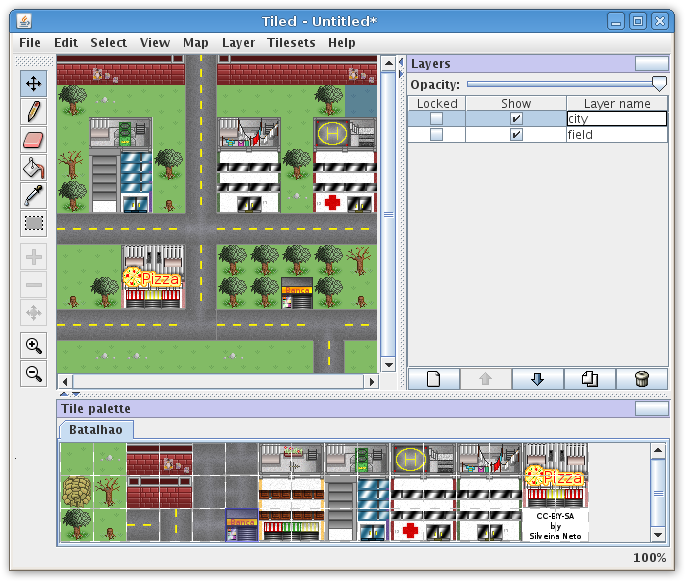 Tiled is general purpose game map editor, with support of several map formats (XML, JSON), multi plataform and runs installed or from browser, supports plugins to read and write others map formats and all free (under GPL license). Make sure you have at least Java 1.5 installed and configured. 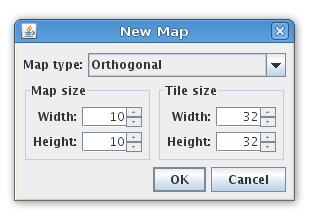 After lauching it, open the menu File → New and create a new 10×10 orthogonal map with 32×32 tiles. 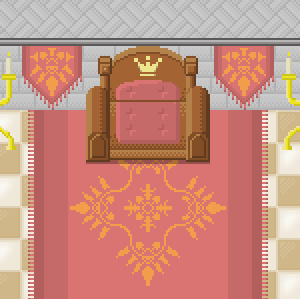 Save the tileset image above. 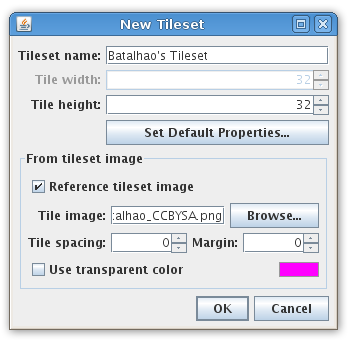 Open the menu Tilesets → New Tileset select Reference tileset image and browser to find the tileset image you saved. Keep tile width and height as 32 and tile spacing and margin as 0. Notice a new tab on the Tile palette section. 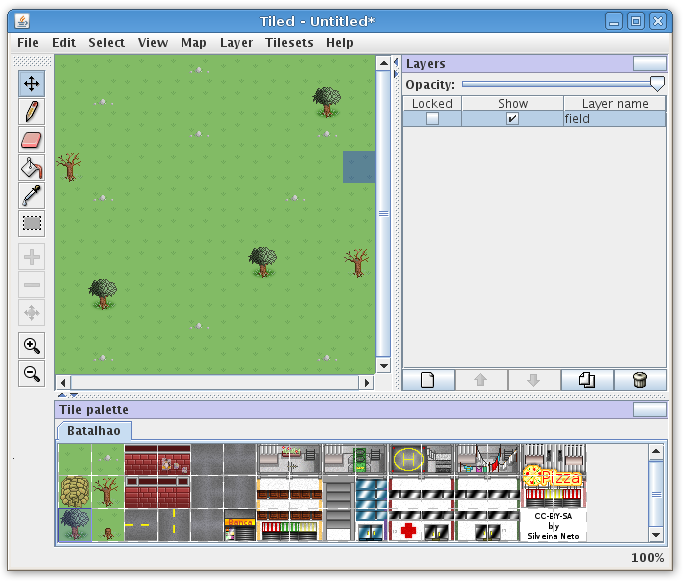 Select the first grass tile from the tileset and select the fill tool ( icon) to create a grass field. 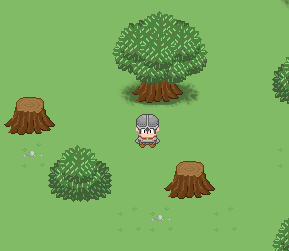 Use the paint tool ( icon) to add some stones and trees at random locations on grass. On the Layers section double click at Layer Name and put a name like “field”. Now let’s create another layer to put the buildings and streets. We can do that by opening the menu Layer → Add Layer or just clicking the icon on layer’s section. Let’s call it “city”. Now build your city by selecting tiles on the palette and using the paint tool. There’s tiles for horizontal and vertical street and all kinds of intersection. 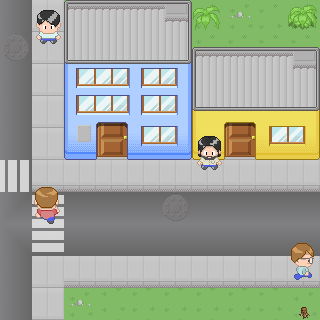 For the building you can click and drag in the palette to select multiple tiles at once. 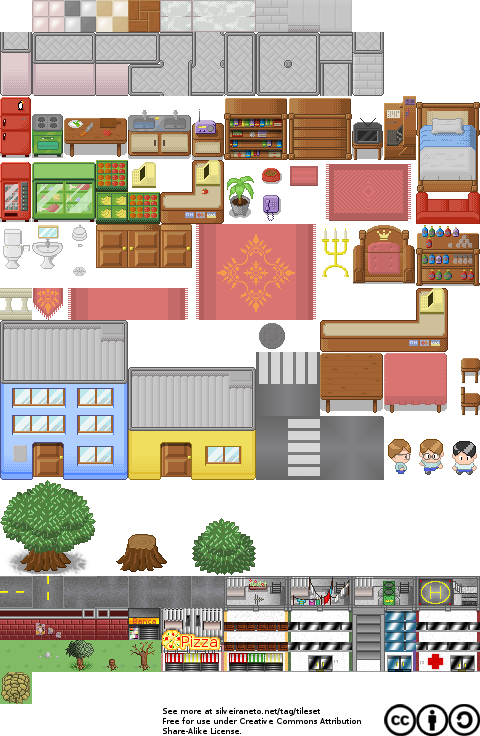 You can save the map as tmx (XML Tiled map file) , JSON, LUA, wlk, map (Mappy) or export it as a image. There’s some options accessible on the Edit → Preferences menu like use base-64 gziped encoding. Thanks to Adam Turk and Bjørn Lindeijer for developing that great project. In a next post I want to show how to integrate this with a Java/JavaFX game. 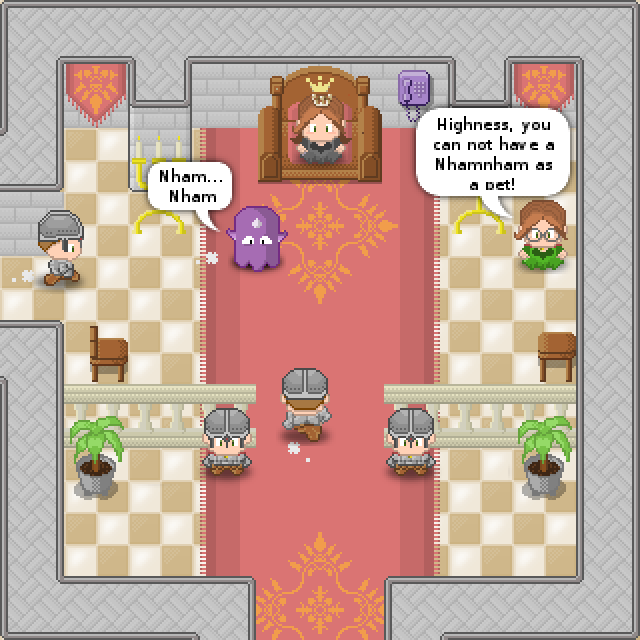 Continuing my little JavaFX framework for game development, right now focused on use those tiles I’m drawing and posting here in my blog. This framework will be a group of classes for simplify and hide some complexities of common game development. Right now I wrote just a few of them. 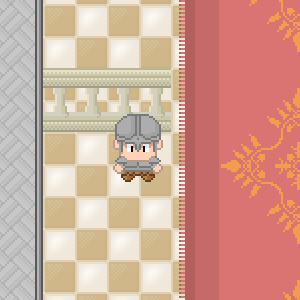 Tileset are orthogonal, distributed into a grid of cols columns and rows rows. 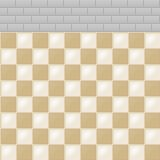 Each tile have dimensions height x width. Each number in the map represents a tile in the tilemap. Number 0 means the first tile at the upper left corner, numbers keep growing from left to right columns, from top to bottom rows. 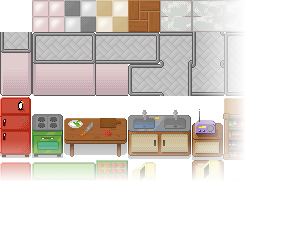 The Tileset class basically stores a Image and a collection of Rectangle2D objects, for be used as viewports in ImageView classes. 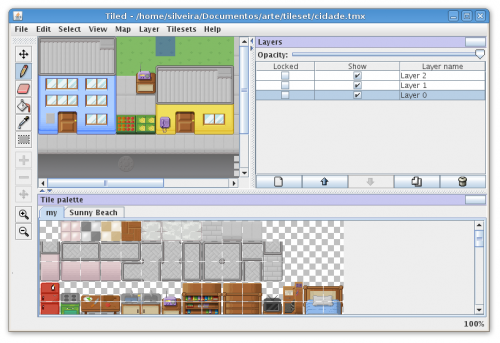 The Tilemap is a CustomNode with a Group of ImageViews in a grid. The grid is mounted by iterating over the map as many layers was defined. Source code and NetBeans project, tileworld.tar.bz2. 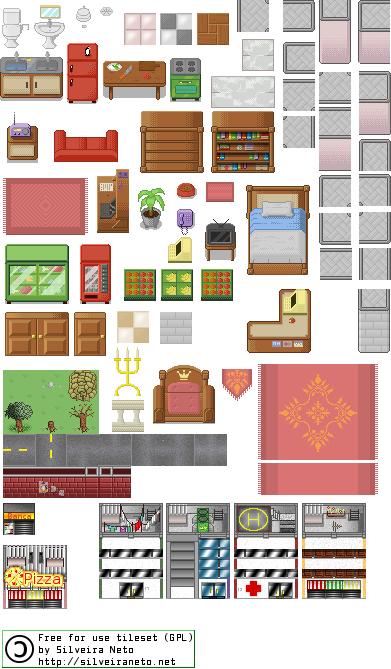 More free tiles for game developers. 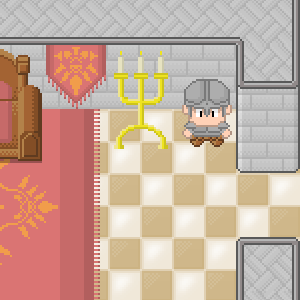 Now in a fantasy, medieval style. Some detailed view. 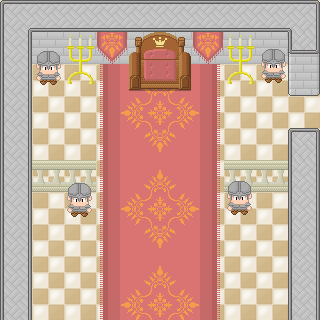 The royal throne (king was not in the room), carpet and banners. I had to place guards across the room. You know, being a king is dangerous. There’s this new kind of wall, with bricks. 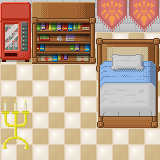 There’s a passage for the king bedroom. 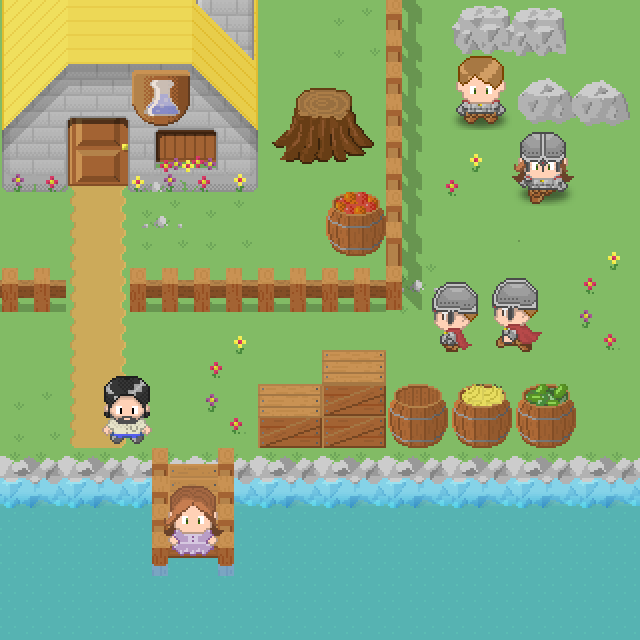 Here’s the new version of the tile set.